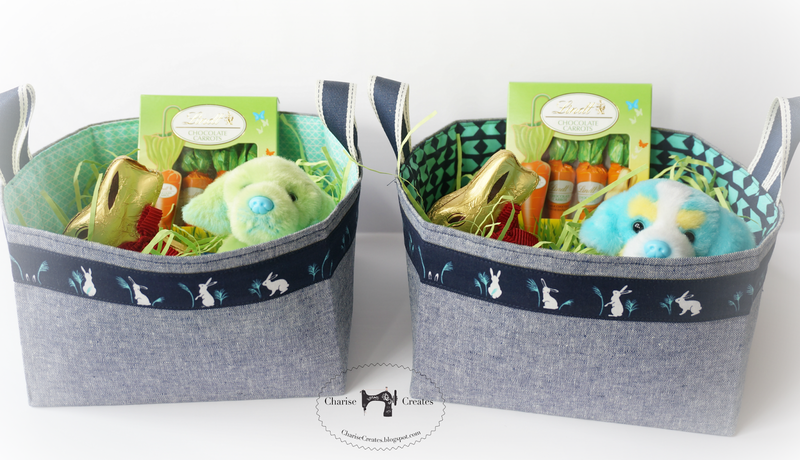 I couldn't resist making a couple of Easter baskets for my boys. I was so happy when he came downstairs this morning and told me he got a visit from the Easter Bunny! The instructions are clear and concise with lots of photos. I will be making more of these to use as storage around the house. The basket pictured is the large version with the height shortened to 5". 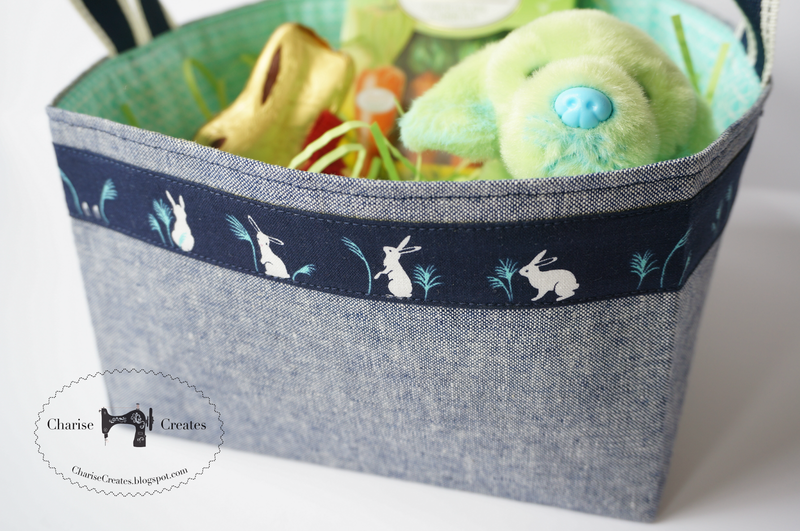 The outside of the basket is Essex Yarn Dye linen and the bunny fabric trim is an older print from the Cotton and Steel line from RJR fabrics. Una idea de regalo bellísima !! I made the medium size for my 2 grandsons for Easter. It's amazing how much they hold! Your baskets are beautiful! I love the baskets! Very sweet! LOVE! these baskets! Nice work there! 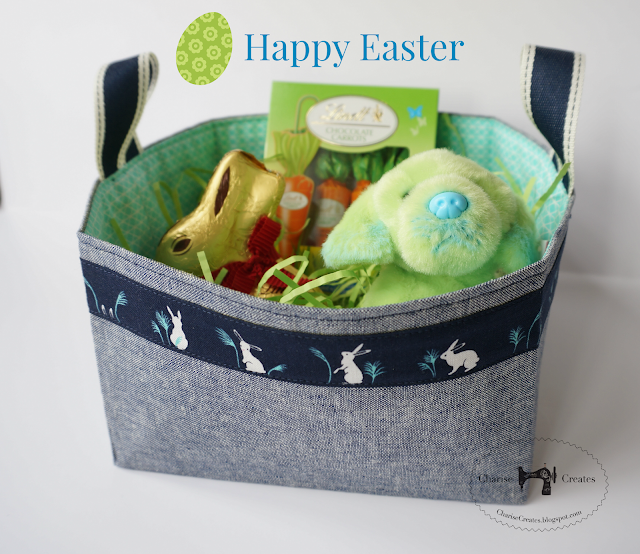 happyEaster to you too, He is Risen, thnaks for the link for this basket my to do list is so long now!